Our local partners on the ground play a huge role in our work. The idea, ultimately, is to empower them to take a leadership role in their own communities. It was a proud day for ChildFund Mexico when one such parter “Graduated”..
ChildFund works with hundreds of local partner organisations around the world, providing funding and other supports while they run programs that help children and families in need. Sometimes a day comes when a local partner is self-sustaining and no longer needs ChildFund’s support, which allows us to move on and continue our work in communities that need more help. Recently, that day came to Colonias Unidas de Oaxaca, our local partner in Oaxaca, Mexico. We’ve worked in this community for 25 years and have seen great progress during that time. When we first arrived, the community water supply was rationed and untreated, 70 percent of the families didn’t have electricity, and children suffered from intestinal infections and diarrhoea. Now families have fresh tap water and a sewage system. Colonias Unidas de Oaxaca started a kindergarten, following teaching methods and knowledge built in partnership with ChildFund. Of the children that were enrolled in ChildFund-supported programs, 65 percent have finished a technical or college degree. Parents have improved their incomes, and children have a safe and inviting community space where they can participate in recreational and development activities that help to develop their skills, abilities and confidence. This was the first local partner graduation in Mexico, where ChildFund began work in 1973, so this event was even more significant than usual. After a year of planning and preparation, we held a graduation ceremony in September at Colonias Unidas de Oaxaca, attended by community members, ChildFund Mexico staff members (including our national director and the president of our board). We celebrated the community’s accomplishments with stories and memories. It was with great pride that we noted that some of the former sponsored children were now part of the organization’s staff. On Saturday morning, the big celebration began. It was a day full of joy and festivity. The founder of Colonias Unidas de Oaxaca opened the event followed by testimonies from a former sponsored child and a mother of another child who served on the administration and parents’ committee. This was followed by a speech from ChildFund Mexico’s national director, along with the presentation of an award in recognition of all they had done. A mariachi band played, too. Finally, children and youth groups presented some dances and theatrical pieces. When the celebration finished, ChildFund Mexico staff began the long trip back to Mexico City. 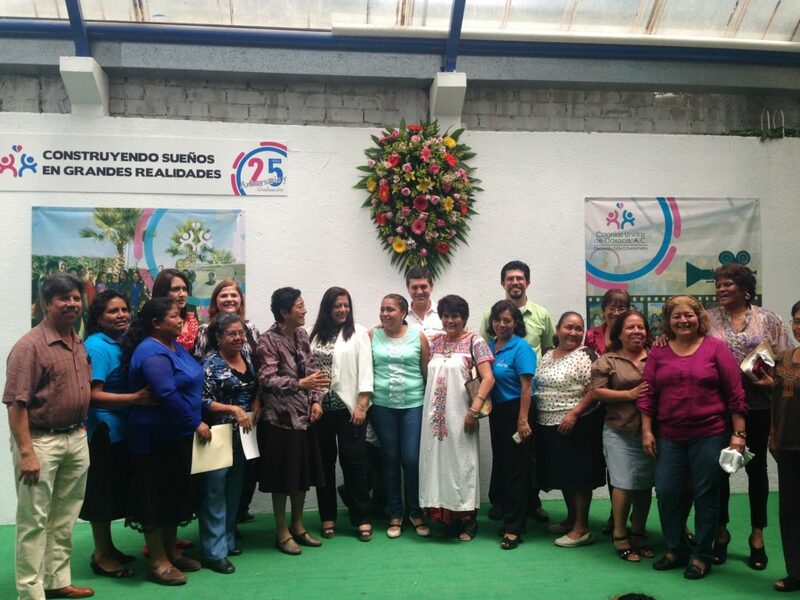 But the journey reminded us of just how far Colonias Unidas de Oaxaca had come over the last 25 years. We were bursting with satisfaction, pride and happiness as we know that there is a new future for them, a future built on a strong partnership that has prepared them to continue working to benefit their community for many years to come.